Kathleen Vance, Gifford’s Forest, 2017, Train case, resin, stones, soil, water, artificial foliage, 12 x 15 x 9 in. Image © of the artist and ROCKELMANN &. 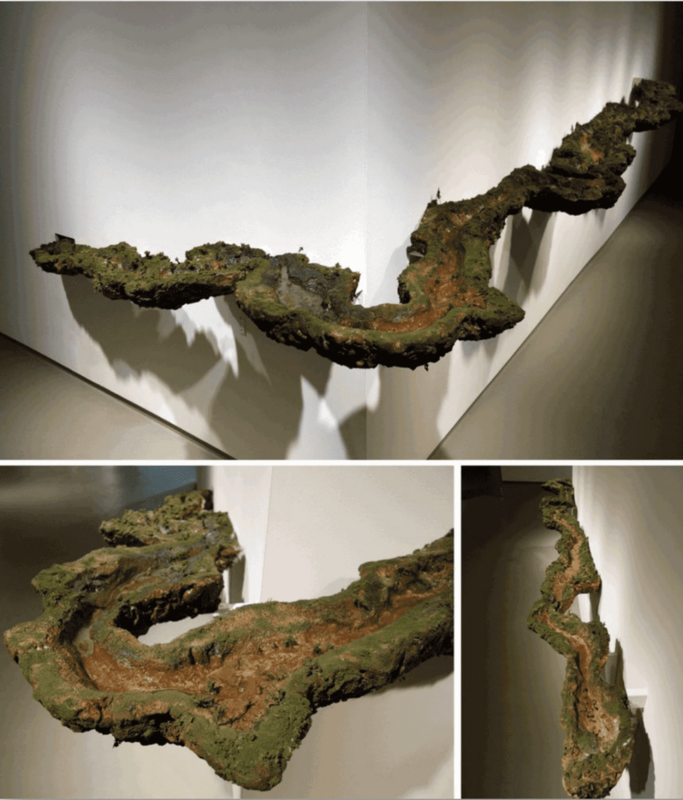 Kathleen Vance unveils her site-specific project Traveling Landscape: Precious Cargo, presented by ROCKELMANN &. By modifying reclaimed vintage luggage with artificial and real flora (moss, dirt, water) in miniature dioramas within, the Brooklyn-based artist considers a multitude of salient topics, from pristine green spaces to land proprietorship and water rights (Berlin, booth D5). 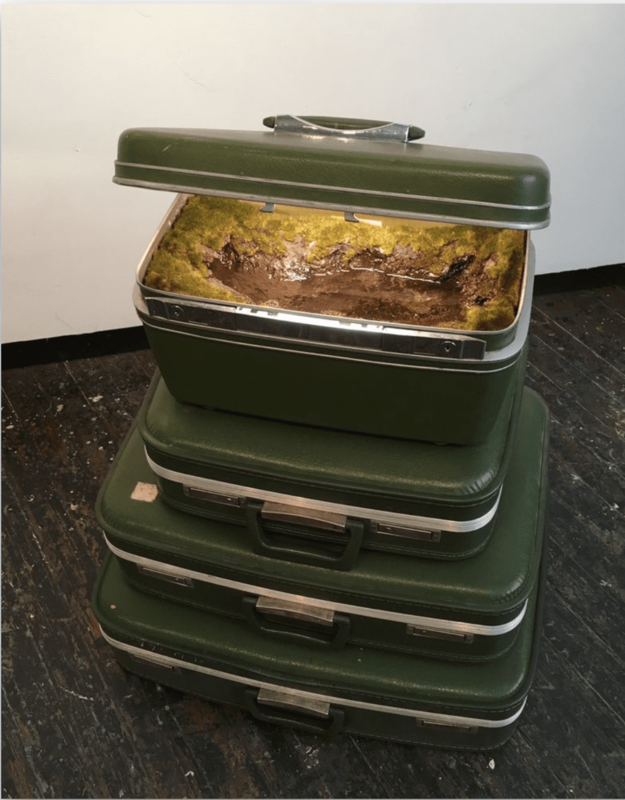 Kathleen Vance, Green Stack, 2017, Vintage luggage, resin, soil, artificial foliage, water, 30 x 23 x 16 in. Image © of the artist and ROCKELMANN &. 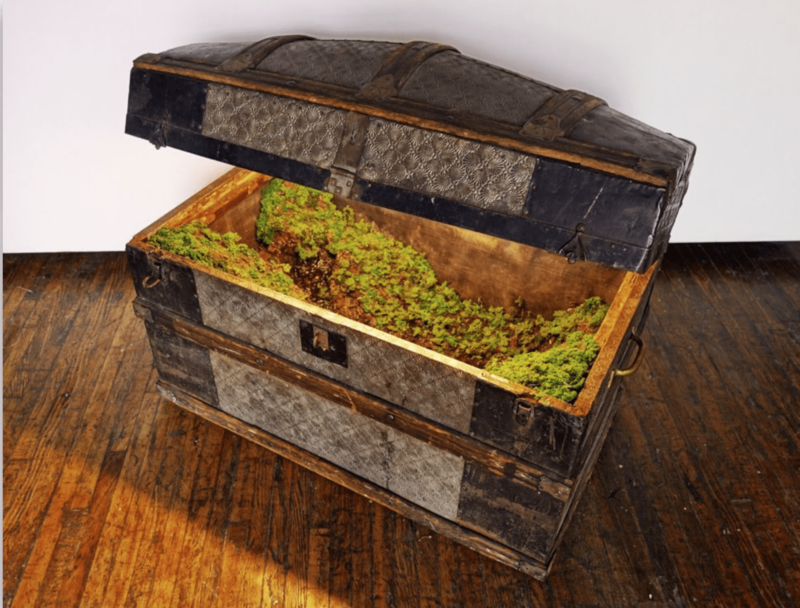 Kathleen Vance, Roundtop Steamer, 2017, Vintage steamer trunk, resin, stones, soil, water, artificial foliage, 34 x 30 x 19 in. Image © of the artist and ROCKELMANN &. Artists: Kathleen Vance  Archived in Art, Contemporary, Creative and tagged Environmental Art, GalleryLOG, Installation, Kathleen Vance, Landscape, Luggage, ROCKELMANN &, Site-Specific, VOLTA NY. Bookmark the permalink.